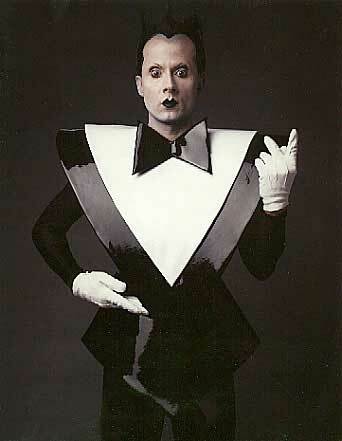 Klaus Nomi was born in Germany in 1944. He moved to New York City during the ‘70s and lived in the East Village, working as a pastry chef. He made a name for himself in the art scene for his otherworldly performance art and remarkable countertenor’s vocal range. During one of his shows in New York, he caught the eye of David Bowie, who then asked him to be his backup singer for a Saturday Night Live appearance. During the performance, Bowie wore an oversized plastic tuxedo that inspired Nomi to create his own variation. It became a signature look on the cover of his albums, onstage and in his videos. Klaus Nomi was one of the first celebrities to die of AIDS, in 1983. His ashes are spread around NYC. Check out some classic Nomi visuals and his song “Valentine’s Day” (below) from Za Bakdaz.